On May 3, 2012, the Roswell girls defeated Walton in the third round of the Class AAAAA playoffs to snap the Raiders’ 158-match winning streak. The Raiders earned a measure of revenge earlier this season with a 4-1 victory over the Hornets before blanking Roswell 3-0 to win the Region 5-AAAAAA tournament title. Walton had previously knocked off Wheeler and Etowah to earn a spot in the region finals. The Raiders will enter the 2013 Class AAAAAA playoffs with a 13-0 record. … While it isn’t eight straight state titles (Walton girls 2004-2011), the Peachtree Ridge girls extended an impressive streak with the program’s fourth straight region title after defeating North Gwinnett in the Region 7-AAAAAA finals. Abby Owens, Jena Kelly and Ali Mills all earned points in singles action to clinch the 3-0 win. The Peachtree Ridge boys also pulled out a 3-1 win over Mill Creek to capture the Region 7-AAAAAA boys crown. The Lions earned a pair of points from their two doubles pairings while also scoring a victory at No. 1 singles as Alex Makarenko won in straight sets. … The Brookwood girls won a region championship for the third year in a row after beating South Gwinnett, Central Gwinnett and Parkview to claim the Region 8-AAAAAA title. Gabbie Griffith won at No. 2 singles to ice the 3-0 victory over Parkview for the title. Brookwood has won nine region titles in the last 11 seasons. Meanwhile, the Brookwood boys beat Parkview to pull off the sweep of Region 8-AAAAAA. Drew Wendel and Zach Jennings earned singles wins to help Brookwood capture a seventh straight region title. The Brookwood boys have only gone on to win one state title during the current run, claiming the AAAAA title in 2011. The Brookwood girls last won a state title in 2000. … Jaryd Reese of North Cobb knocked off previously-undefeated Matt Hill of Hillgrove as the Warriors claimed the Region 4-AAAAAA title. Harrison topped Kennesaw Mountain to earn the No. 3 seed out of Region 4-AAAAAA. … Samantha Armas picked up a huge win for Kennesaw Mountain at No. 1 singles to help the Mustangs best Hillgrove 3-0 to win the Region 4-AAAAAA title. It was the third straight region crown for Kennesaw Mountain. Harrison will hold the No. 3 seed out of 4-AAAAAA after beating North Cobb 3-1. 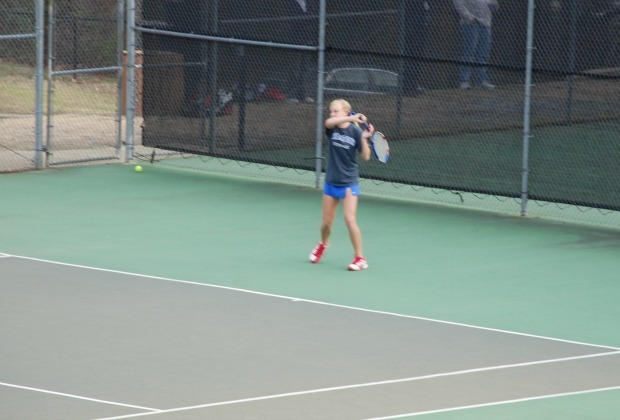 … In the opening round of the Class AA state playoffs, Lovett swept Armuchee 5-0 in both boys and girls action. Wesleyan was victorious over Murray County in girls action 5-0 as well. In Class AAA, Buford’s girls whitewashed Decatur 5-0 while the boys won 3-0 over Decatur.